Each school year SRSH gives away over 300 fully stocked backpacks to school children in Monongalia County. Children in grades Pre-K through 12th grade are able to start school off right because of generous donations of local businesses, churches and individuals. This heroic effort is orchestrated by some long-standing volunteers and is critical to the families we serve. Families may sign-up for this program in July. If you are interested in providing needed supplies and/or backpacks, this list can guide your shopping. All you need to do is review the sponsor letter for details and then fill-out a sponsor application. Anyone interested in supporting this effort may contact us at (304) 599-5020. Scott's Run Settlement House is thankful for the outpouring of support our community provides for the families we serve. Each year we are able to provide nearly 400 families with a basket filled with items you would need for a Thanksgiving meal. Again, local businesses, churches and individuals step forward to ensure that their neighbors have a meal to share with their family on this special holiday. Applications will be available early in the fall. 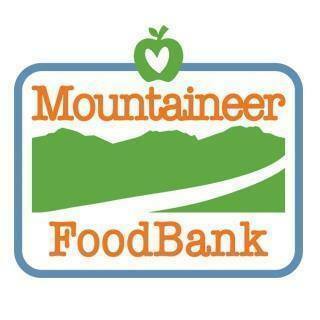 For information on how you can support this endeavor, please contact us at (304) 599-5020. In partnership with local businesses, churches and individuals, SRSH provides more than 75 families with a complete Christmas! Families sign-up in the fall and provide us with a listing of needs and wants for each member. Each family is matched up with a sponsor who then shops with list in hand to provide for that family. We work with other local agencies to ensure that families are able to benefit from the Holiday food drive at the Armory but also ensure that families are served through just one toy drive or sponsor a family program at this busy time of year. Applications for this program are available early in the fall; potential sponsors should contact us for additional information at (304) 599-5020. Every Easter SRSH partners with sponsors to provide Easter treat baskets for children of Monongalia County. Applications for this program are available in February. Please call us at (304) 599-5020 for more information on this program.